The Skills Gap - Real or Imagined? The National Federation of Independent Business found that as of first-quarter 2017, 45 percent of small businesses reported that they were unable to find qualified applicants to fill job openings. But is there a bonafide skills gap in the U.S., or it is an imaginary manifestation of unrealistic expectations? If perception is reality, then either way, we need to determine the cause and act on a cure. These two articles provide insights into how those of us in talent development industry can make an impact. For the benefit of the many instructional designers with no formal visual design training, here's an informative aid to help you make your projects look great! In this 2:47 minute video from CLO, you'll hear that when it comes to effectively managing talent, learning and HR executives have a keen role to play together. This relationship is about busting down silos in the interest of talent development and producing a high caliber of workforce performance. The guy or gal sitting next to you at work is often a great source of information. Recognizing the intent and providing structure will benefit everyone involved. Find out more about how to capture these kinds of learning opportunities in a more formal setting from this April 13, 2017 essay from CLO. Recognizing the intent and providing structure will benefit everyone involved. 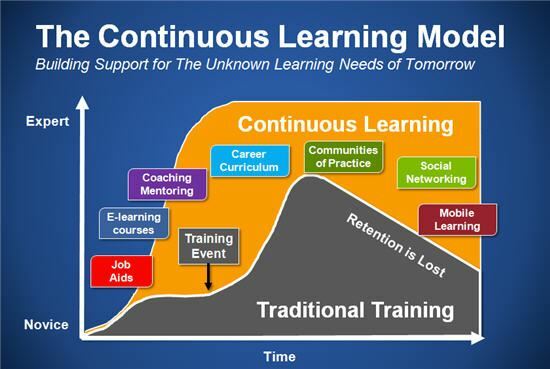 eLearning Is Dead! Long Live LEAN Learning! Why has e-Learning failed, and what do learning practitioners need to do differently to deliver business value? Click here to read how a reconceptualized perspective offers opportunities to capitalize on the business methodology leaders refer to as “Lean”. Several times in my career I have coached young leaders who hope to start their careers as keynote speakers. I ask them to come to me with what they have already written and present it for feedback. 100% of them have started out with the same mistake. They spend too much time on the message. I understand the desire to pack as much data in as possible, but they are trying to share too much information. Every piece of advice, every best practice, and every great quote that ever inspired them makes it onto the page. None of it sticks in my brain. Instead, I recommend that they aim for a presentation that is closer to 20% content and 80% story. Think about the best speakers you have ever seen. My bet is that they were master storytellers. 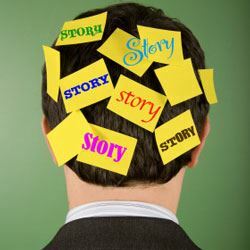 Stories engage our brains differently and they make our content “sticky” - improving retention. Stories are sticky for a few reasons. 1. Listening to a story uses more of your brain. 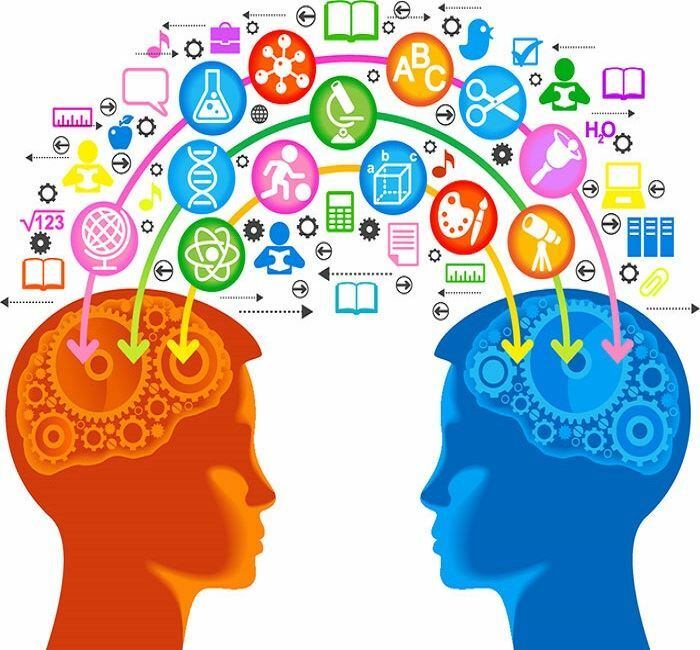 A 2006 study published in the journal NeuroImage demonstrated that not only are language processing area engaged when you hear a story, but so too are any other area in the brain that you would use when experiencing the context of the story. So, when you hear a storyteller describe “eating a rapidly melting chocolate ice cream cone on a hot July day,” your brain also lights up in the areas that manage taste, temperature, and time. This offers a huge potential impact on learning because we suspect that more active brain areas involved in storing memories leads to better retention and recall of information. 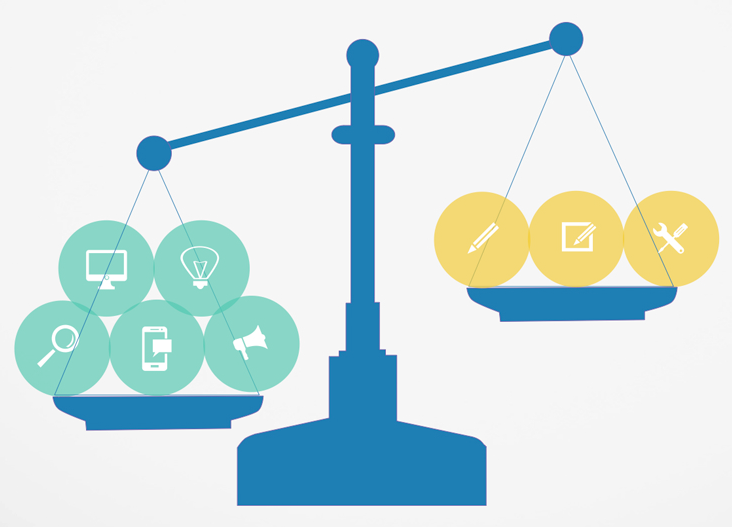 Not to mention that a more engaged brain means a more engaged audience member. The power of this effect comes from the fact that our brains create memory based on what the brain is experiencing, not simply based on what is happening in our environment. In other words, if your mirror neurons are causing you to “feel the wind on your face” the way the storyteller did, your brain is likely creating a memory of that experience almost as if you were there. You can’t get that from a PowerPoint slide. These are not the only reasons that humans learn better from storytelling. I look forward to sharing more about these ideas and other tools of advanced presenters at SEWI-ATD's April 21st Professional Development Event! Matthew Meuleners, is well known in the training community for his great presentation skills. He is Executive Partner and Leadership Trainer at FOCUS Training. As a professional facilitator and keynote speaker for over 15 years, Matt has combined his message of integrity in leadership with a youthful energy and sense of humor that allows him to connect with an audience. Having touched the lives of thousands of people, his experience lends him a credibility that gives every presentation impact. Through the years he has trained hundreds of business and educational leaders to fulfill their crucial roles within their organizations, delivered his keynote message to thousands of people, and developed valuable leadership curriculum. 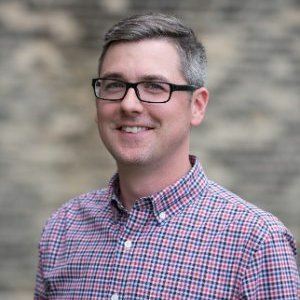 Matt holds a M.B.A. and Bachelors in Marketing from the University of Wisconsin and currently teaches Training & Development courses for undergraduate and graduate students at Marquette University. He has served in many leadership positions and continues to lead in alumni and guidance roles. Matt’s vivid enthusiasm and passion for nurturing leadership skills in others and his articulate and humorous style ensure that no audience will walk away unchanged. Is Corporate Learning’s Share of the Development Pie Decreasing? Yes, but that’s not as bad as learning leaders might think. Formal learning may be declining, but with the right framework informal learning can be a serious performance booster. Read more in this March 13, 2017 Chief Learning Officer article. Anyone who has ever developed and delivered soft skills training has probably considered role-play as a way to engage audiences. After all, people learn by doing, right? Yet many people hear “role-play” and cringe, roll their eyes, or simply come up with an emergency schedule conflict. Why? Sharlyn Lauby sums it up nicely, but role-play can be intimidating. Not everyone loves to stand up in front of a room full of their peers and risk feeling foolish. Role-play can also be stale, canned, and boring for anyone not in the hot seat; usually it involves two people acting out a scene in front of an audience, who, if they’re lucky, get a chance to comment on what their peers did wrong after the scene is done. Fun for all, no? But what’s the alternative? Put an inexperienced caregiver in front of a volatile patient and hope he “learns by doing” without either party getting hurt? Make the new job-seeker flounder through interview after interview, on the chance that she figures it out before making bad first impressions on every employer in town? Throw a newbie trainer in front of a class of busy, impatient professionals and spend time and resources repeating material because the audience wasn’t engaged in the first place? Clearly, this isn’t the best path. So, how can we create a safe space for learners to practice key behavioral skills without lasting, real-life consequences? In the early 1970s, political activist and theatre director, Augusto Boal, was probably not thinking about the challenges of corporate trainers and L & D professionals. Yet the techniques he created to raise awareness of and combat oppression can, in fact, address our challenges too. 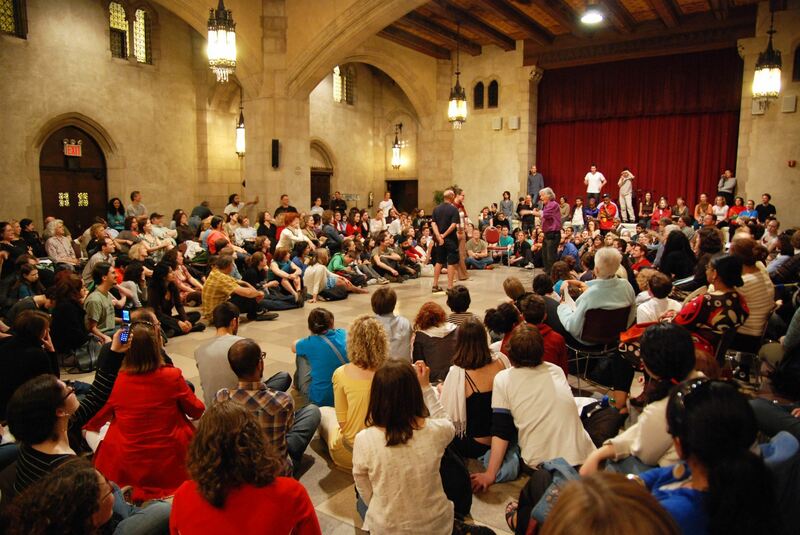 Boal’s creation was called The Theatre of the Oppressed; it strove to make audiences see the oppression in their society, identify and analyze its root causes, work as a group to identify solutions, and finally to act to change the situation in the larger world. I first discovered TO during my undergraduate studies of Theatre Education at Western Michigan University. I was part of a group that used the techniques to help high school students talk about bullying. Today, I use my favorite Theatre of the Oppressed activity, Forum Theatre, to engage whole classrooms in solving real-life problems that are relevant to their jobs and lives. Forum Theatre is different than role-play in a couple of important ways. There is no audience. Instead there are spectACTORS – through discussion and acting (only on a volunteer basis), the entire room engages in fixing a broken situation. It’s not intimidating. The only people taking risks (unless they choose to volunteer) are the actors, who have prepared in advance, and the facilitator, whose role is critical to ensuring the conversation is real, the situation doesn’t get fixed “by magic”, but by changes that would have a similar impact in real life. No one knows how the situation will change or if it will resolve. Because the whole room directs the scene, neither the facilitator nor the actors know for certain what will happen. Kind of like real life, huh? Of course, there are pros and cons, challenges, ways I have seen it go horribly wrong, and some tips I’ve picked up for avoiding that outcome in the future. However, this is a post, not a novel, so I’ll save the details for a future article. Or message me on LinkedIn – I’d love to talk further! 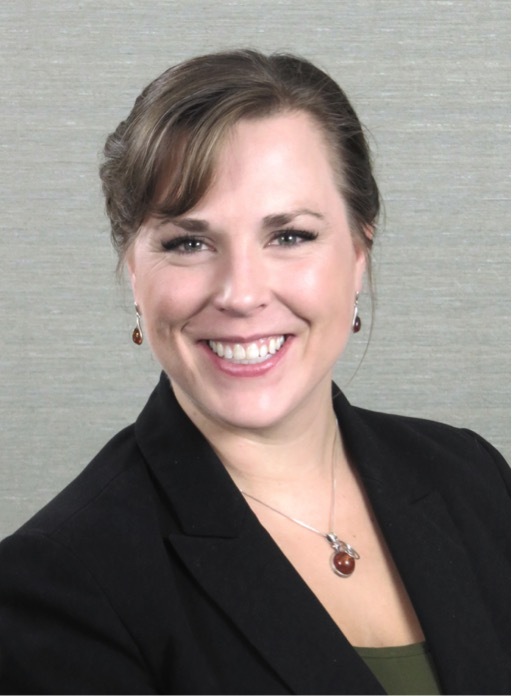 Alexis Fielek, MLIS, CAWC, CC, CL, is Senior Operations Training Specialist, at United Heartland, has 20 years of experience in education and training, and is an SEWI-ATD Member. Alexis has earned her Master's Degree in Information Studies from UW-Milwaukee; Bachelor's degrees in Theater Education, English, and German; is a Certified Authority in Workers’ Compensation; and has recently acquired her Competent Communicator and Competent Leader Toastmaster's designations. Her passion is engaging adult learners by any means necessary, including relying on her Theatre Education background to bring new ways of learning to her audiences. The ATD Certification Institute (ATD CI) is creating a new certification for talent development professionals who are in the early part of their careers or whose professional roles and aspirations are focused on a few areas of expertise. It may be a destination for some or a stepping stone to the CPLP for others. Click here to register for the March 30, 12 pm CST webcast with ATD's Holly Batts, who will answer all your APTD questions. The name, Associate Professional in Talent Development (APTD), resulted from a survey of ATD chapter members and leaders and current CPLP credential holders in conjunction with recent member survey data. The APTD certification will focus on three primary areas of expertise (AOEs) from The ATD Competency Model, along with another AOE, evaluating learning impact, and the global mindset foundational competency. These areas have been determined through a competency validation process that included a survey and subject matter expert panels. Exam details will be available by late March with the release of the APTD certification handbook. The APTD exam will be a multiple-choice exam and candidates will be able to take the computer-based exam at test centers located around the world in most major cities. The APTD certification serves the needs of talent development professionals who are in the early part of their career or whose professional roles and aspirations are focused on a few areas of expertise (AOEs). Eligibility for the exam will require three years of experience or two years’ experience plus successful completion of one of the approved ATD Masters series programs. Individuals who complete the APTD certification will be able to apply part of it toward the CPLP. Specific details about how the APTD will apply toward the CPLP will be available in the second quarter of 2017. Recertification for the APTD will be every three years with continuing education credits. How are You Developing Board-Ready Female Leaders? Currently, less than one-fifth of board directors are women. Your company can take immediate action to tackle this gender gap. Read how in this recent article from Chief Learning Officer.